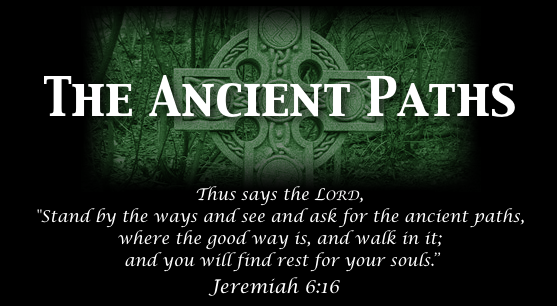 This is the sixteenth episode of The Ancient Paths television program, hosted by Pastor Jason Wallace. In this episode Pastor Wallace interviews Kevin Swanson, a fellow Orthodox Presbyterian minister, who was the keynote speaker at a recent Christian home education convention in Salt Lake City. In light of passages such as Deuteronomy 6:7, Kevin discusses the necessity for parents to provide a strong Christian education to their children. More information on Kevin Swanson's ministry can be found at www.generationswithvision.com. The program airs on Wednesday nights at 8:00pm on KTMW-TV20, a station that is available in Utah and parts of surrounding states. The program is hosted by Christ Presbyterian Church of Salt Lake City. This episode aired on 04/02/08. Thank you for your great show. I am living in Mannheim/Germany. In your show you mentioned the hardships Germany parents have to go through when trying to homeschool their children. You might want to look into the case of the Germany Romneike family. HSLDA has some information up about them. They are actually applying for political asylum, because of what happened to them back home, because of homeschooling. Maybe this would even be a great idea for a show? Thanks again for your great program.